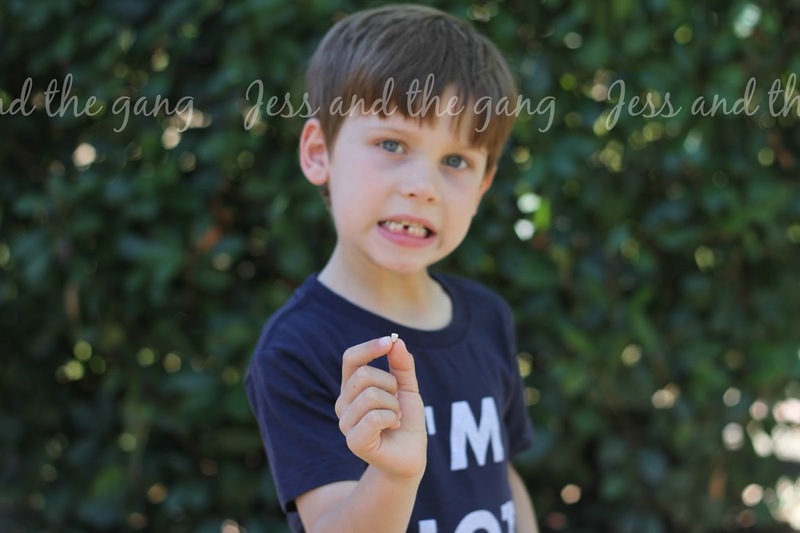 Connor lost his first tooth yesterday. That can only be described as something definitely rooted in big kid territory. When Connor said his tooth was loose a week ago, I felt a little sadness in my heart. But, when he ripped (okay, it was really just barely hanging on there) it out yesterday, I felt nothing but pure joy. For a few days now, Connor has been asking me, "How many sleeps until my tooth falls out?" I have made him guess, then I guess. Not an hour before he pulled his tooth out, he asked me that very question and I said "I think tomorrow, just keep wiggling it." Then, before you know it, he tells me he thinks it's ready to come out. Thankfully, I had my camera in the car, and we were parked, so I filmed him pulling it out. For your viewing pleasure, the little video clip is below. These milestones are so incredibly fun. I love being able to watch my kids grow up. I feel privileged to be a part of their lives and see these "firsts" happen. It feels like just yesterday he got his first tooth, yet that feels like a lifetime ago at the same time. And apparently five years ago, I didn't think blogging about Connor getting his first tooth was important, so I didn't. But I did mention in his 8 month update that he had two teeth, both on the bottom. 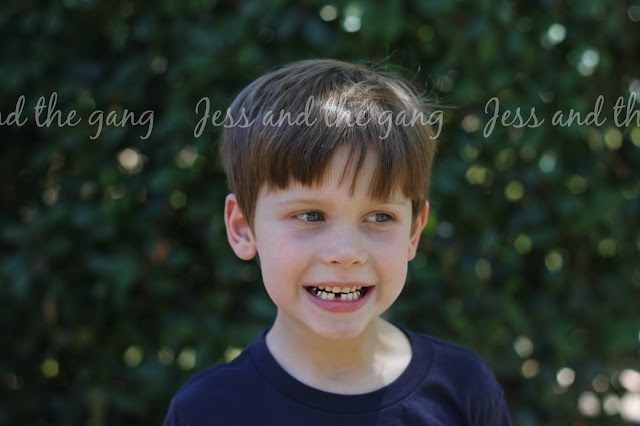 So, he lost either the first or second tooth he got in. We will never know. And I am sure some day he will berate me for not knowing…I kid. I know he won't care.